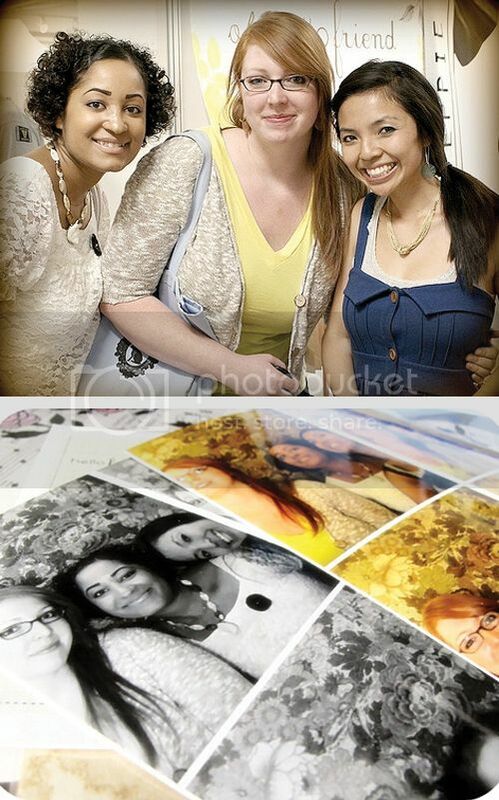 it is so much fun to meet friends + blog readers at shows! - janelle, from things that are made. a fellow believer and such a sweet person! she drove a good couple hours to attend the show! it was such a great surprise to meet her! - myra from double sided tape, who is such a supporter of handmade: she comes and supports all the shows and always scores the best finds! - traci, from bride vs groom: a current bride planning her wedding! thanks for the support friend! anyway, that was fun. hope you to meet you at a show sometime! Hahaha, love that pic of Nick as a Knome, heheheh. Looks like a fun show! Glad that you had fun and met people! i am glad to have finally met you too!!! i cant wait til things settle down and we can hang out. i finally got a kitchen table so my place feels a little more homey...come over for dinner sometime!! Looks like it was so much fun! I wondered if you might be willing to share where you had your banner and signs made...I am opening an online baby store and plan to attend a local baby fair and have been investigating where to have a banner made. Yours is so cute! That postcard machine is awesome! Thanks for sharing with us. I wish I had been able to make it! Wow your booth is so pretty! I love how well prepared it looks, with all the pin-holding-cards nicely lined up, and the necklace prices in different colours... Wonderful! Oh and the yellow tote bag seems quite lovely as well! Thanks for the juicy scoop on Renegade. Total rad! I loved the postcard booth video. Too fun. That postcard machine cracks me up! Dani, I'm so glad you're feeling better, and it was so good to meet you! And your booth was lovely! ps-will you email me the picture of you & me? 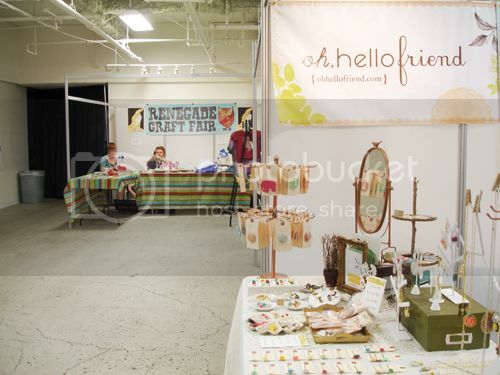 i want to blog about the craft show too :) Thanks! oh my ...it looks like such fun! That postcard machine is awesome!! so cool, man now I really wish I went! 2. you got some awesome shots of your table! 3. i can't wait to hear how SF went! 4. you didnt post photos from our photobooth :( lolll do you have the digital one or should i scan it? This looked like so much fun! I would love to visit you at a show one day (when I ever go to the US). How cute everything looks. And that postcard machine is fantastic! So much work! Wow, you are pretty great, you know that? And Nick does make a sweet little gnome. You're booth looks so cute/happy. Can't wait to participate in the lovely package exchange!! The postcard machine is so cute! can't wait to see you at the party!